Content may be king, but if you can’t find it easily, does it even matter? It’s the “If a tree falls in the forest” problem that faces streaming video companies. In a world with nearly infinite content, and dozens of options for consumers, how can you break through the clutter? For Amazon Prime Video and Netflix, at least, one answer has become obvious: continually improving the home screen and user experience. 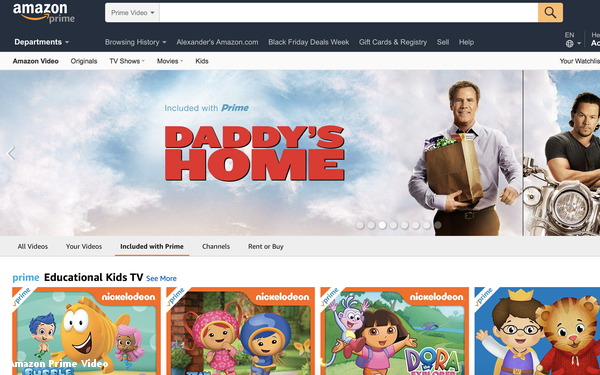 Both Amazon and Netflix have announced or unveiled significant upgrades to their user experiences and interfaces in recent weeks. Late last month, Netflix rolled out a revamped interface for smart TVs and connected TV devices. TV sets are quickly becoming the most important battleground for streaming video. While mobile devices typically dominate in terms of video starts, when people watch on a TV set, they watch for a long time, and that has become a key performance metric for companies. “The new interface was based on rigorous research and testing around how we can make it easier to find titles on TVs, where navigation can feel a bit tougher when you are restricted to just a few buttons on a remote control,” wrote Netflix director of product innovation Stephen Garcia in a blog post. Amazon, of course, has substantial technology prowess, but nonetheless its user interface has lagged behind the competition. Salke added that she has the prototype UI running on a phone in her office. The investment in UI is one of the less appreciated aspects of the streaming video ecosystem. While the content will ultimately bring consumers in and keep them around, compelling UI can make viewing frictionless, and keep them engaged for even longer. For companies founded with technology in mind, like Netflix, Amazon, and Hulu it is an obvious point. For media companies just beginning to enter the arena, like Disney, Time Warner and NBCUniversal, it may require thinking differently. Do consumers want to watch the end credits of every show when Netflix allows them to skip it? Why not make autoplaying the next episode standard for every series? As video increasingly becomes streamed, these are questions every company playing in the space will need to examine.